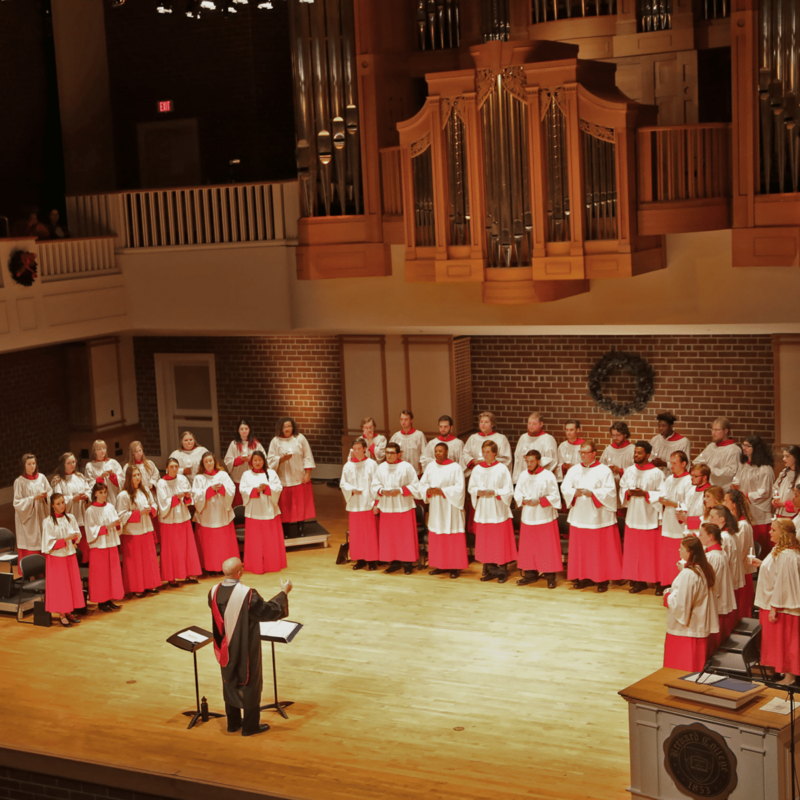 The Brevard College Concert Choir and Chamber Singers, under the direction of Dr. David Gresham, invite you to the 22nd annual Festival of Nine Lessons and Carols on Saturday, Dec. 8 in The Porter Center for Performing Arts at 7:30 p.m. The concert is free and open to the public. The annual service follows in the tradition of the longstanding ceremony held at King’s College in Cambridge, England, where the Festival was introduced one hundred years ago by a former army chaplain as a response to World War I. The ceremony alternates biblical readings chronicling the prophecy and birth of Christ with carols that illuminate a part of the previous reading. The program at Brevard College includes the original readings, along with supplemental carols selected by the director, Dr. David Gresham. As is traditional, the ceremony opens with “Once in Royal David’s City,” sung first by a soloist, with the choir and congregants joining in later verses. The conclusion of the program is a beautiful arrangement of “Stille Nacht” (Silent Night) sung by candle light. “This is one of the most meaningful events in the life of the college, and I’m honored to be a part of the 22nd celebration of Lessons and Carols at Brevard College. The fact that this is also the centennial in the life of this ceremony world-wide certainly adds another level of significance,” Gresham says.